Pillars of Eternity II Fig Update #3: Level Up! 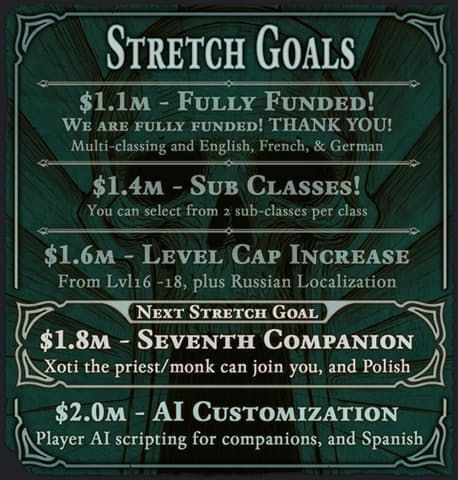 People keep giving Obsidian and the progressive elite of the games industry more money by pledging to the Pillars of Eternity II: Deadfire crowdfunding campaign on Fig. And we're I am not complaining! Stay tuned for more news on Pillars II. There will probably be another update from Sawyer today or tomorrow, and then an update from narrative designer Carrie Patel. I will probably have to post those news too, because our news robot was sent into active duty in Palestine or something. There are 36 comments on Pillars of Eternity II Fig Update #3: Level Up!